The first ministerial conference of the Ancient Civilizations Forum (ACForum) co-launched by Greece and China ended in Athens on Monday with a declaration to establish an annual platform of dialogue and cultural cooperation. 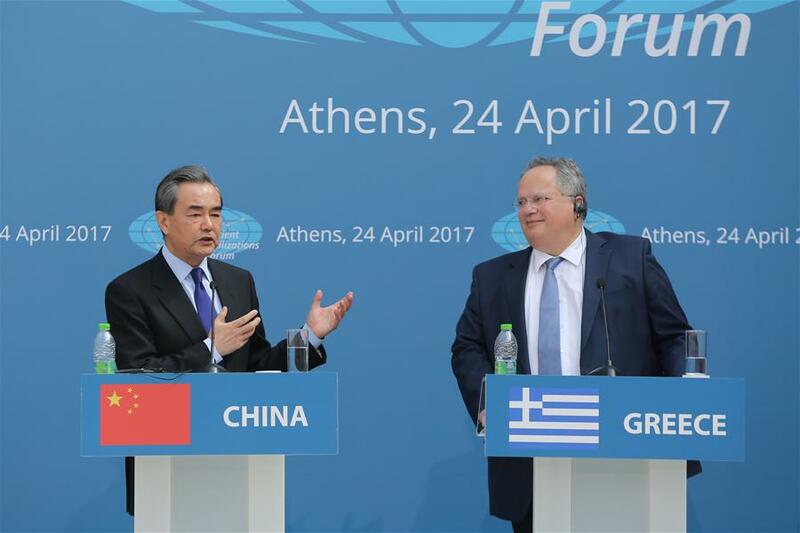 The officials attending the Athens forum, including Chinese Foreign Minister Wang Yi, agreed to establish the Ancient Civilizations Forum as a platform for dialogue and cultural cooperation among the participating countries, said a statement of the Greek Foreign Ministry. The forum, which groups Bolivia, China, Egypt, Greece, Iran, Iraq, Italy, and Peru, shall be open to future enlargement on a consensual basis, it said. The ministers participating in the conference declared their countries' intention to conduct dialogue and consultations with a view to reaching coordinated positions on issues of major importance relating to the protection of cultural heritage, within the relevant international organizations, such as UNESCO, said the ministers in a declaration. They also agreed to examine the most appropriate ways to enhance the forum's efforts to optimize the use of culture as an effective tool for diplomacy and to work together and in coordination with UNESCO in order to safeguard the historical and cultural heritage of the ACForum members, said the declaration. The participating states agreed that a ministerial meeting of the ACForum will be organized on an annual basis, while the chairmanship of the annual ministerial meeting will rotate among participating states. The next ministerial meeting will be held in 2018 in Bolivia, while Peru expressed its readiness to host the annual meeting in 2020 and Iraq in 2021. All participating states also emphasized that advancing the Belt and Road Initiative for international cooperation, among others, will play an important role in promoting civilizational dialogues and increasing people-to-people bonds, said the declaration.